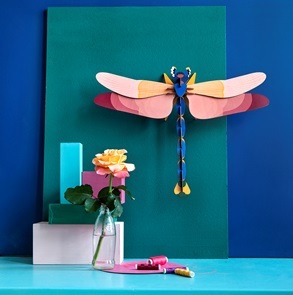 They have something mysterious about them, these graceful insects with their exceptionally coloured wings. As if they have just flown in from a fairy-tale world. Darting over the water, the dragonfly gives a dance performance. 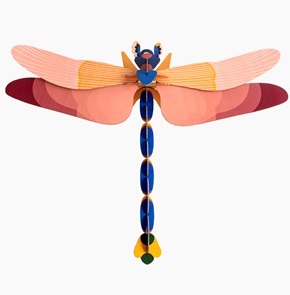 Its wings seem to be made of coloured glass. You could watch it for hours. 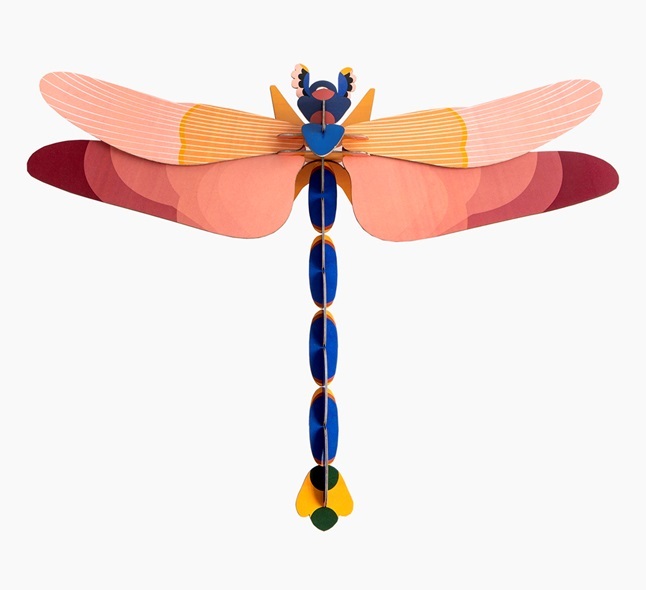 Putting this dragonfly, made of recycled cardboard, together and hanging them up is child’s play. 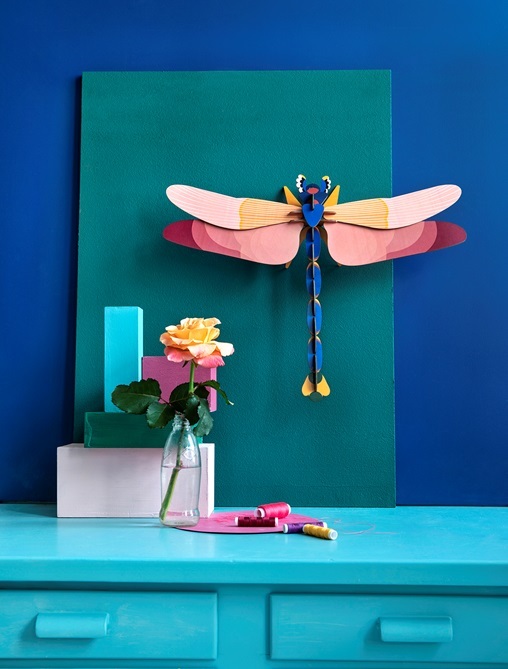 3D object to build, comes flatpacked; Made of recycled cardboard and printed with vegetable inks. Dimensions when built up: 47 x 8 x 36 cm; 2 x A4 sheet with 24 pieces to pop out and assemble. Assembly instructions can be found on the inside of the packaging. Usually ships in 1 to 3 business days.